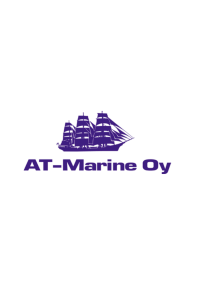 in the global defence, maritime, oil and gas and aerospace industries. CSR Forum has helped define the contents of the report. 1 January 2012 to 29 February 2012 will also be discussed. All figures are associated with the 2011 fiscal year. The Group has joined Global Compact, a UN initiative. Compact’s criteria for Advanced Level reporting. the environmental accounts for 2011. Auditor’s Statement on page 45. Executive Management and the Board of Directors. regarding GRI, see their website at www.globalreporting. social responsibility throughout the Group. customers, as well as relative to our working environment. realities. KONGSBERG must also deal with such dilemmas. up these regulatory parameters in all of our activities. direct contact and through national and Nordic networks. systematically with our anti-corruption programme in 2011. We invest considerable resources in training, attitude-shaping efforts and preventative routines. measures on the part of suppliers. inherent in corporate social responsibility. continue our corporate social responsibility efforts. 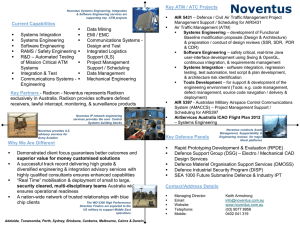 industry, the merchant marine, defence and aerospace. use on deck for offshore vessels. tional leader in this market. as well as the Group’s business strategy. challenges offer formidable technological opportunities. KONGSBERG’s activities, directly or indirectly. Innovative, Collaborative, Reliable (see below). Our common values are fundamental for the work we do. a clear and constant focus. of our customers and our own competitiveness. trust KONGSBERG to deliver, always. Responsibility is discussed and approved by the Board. effective initiatives to ensure that we reach our goals. with support from the Corporate Centre. management on issues of corporate social responsibility. documents have been adopted by the Board of Directors. responsibility for following up compliance with the CBCC. which we operatei. In certain cases, legislation extends across national frontiers, e.g. focuses on areas that are subject to risk. on our website at www.kongsberg.com. For more details about our governing bodies, see the corporate governance section on our website at www.kongsberg.com. 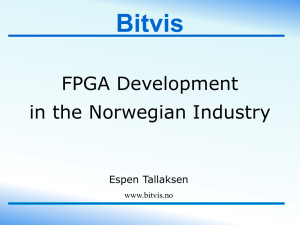 The figures for 2011 cover only the Norwegian parts of the company. As from 2011, the figures include electricity used to produce compressed air and remote cooling supplied by Kongsberg Technology Park. As from 2010, the figures include the production of district hearting at Kongsberg Technology Park for companies outside KONGSBERG. As from 2010, the figures cover energy consumption per employee and sales includes energy consumption at Kongsberg Technology Park. As from 2009, the figures include the emissions from the production of district heating at Kongsberg Technology Park delivered to companies outside KONGSBERG. As from 2010, the figures also include air travel booked from Norway. importance we attach to research and development. cent of total operating expenses. KONGSBERG of more than NOK 50 000 each. that are particularly susceptible to the risk of corruption. with business activities (tax planning). names and enterprises, as well as. owners, customers and other stakeholders. areas in which KONGSBERG operates. promote the initiative’s 10 basic principles. updated to stay abreast of trends in society. Corruption shall not occur at KONGSBERG. greenhouse gases resulting from our activities. Compact and is committed to actively promoting the initiative’s environmental principles. individuals engaged in environmental issues. will be evaluated at least every other year. resolving the major global challenges facing the Earth. has the expertise to play a part in many of these areas. rights and climate and the environment. and we achieve better results. the final performance has been postponed somewhat. activities will continue to be high-priority areas in 2012. • Principles for Supplier Conduct have been drawn up. The preparation of some routines and processes remains. • Climate strategy, targets and action plans drawn up. 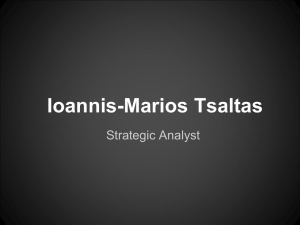 with acquisitions, new ventures, product development, etc. 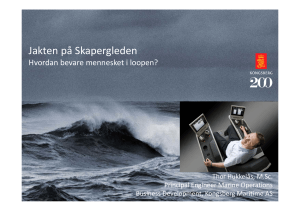 the initiative, including 67 (59) Norwegian companies. KONGSBERG joined the initiative in 2006.
and for further healthy growth and development. The Group has developed its own guidelines for suppliers. in 2010, with the launch in January 2011.
ombudsmen are entitled to attend the meetings. advice and guidance on questions involving ethical dilemmas and notification of circumstances worthy of criticism. breach of the corporate Code of Ethics. reports a situation is subject to reprisals/negative reactions. In 2011, the Group’s ombudsmen dealt with two cases. area in question and were reported to the Ethics Council. practices or failure to comply with legislation or regulations. currently accounts for half of our sales. society in times of peace, crisis, armed conflict and war. tailor-made systems to meet Norway’s particular needs. 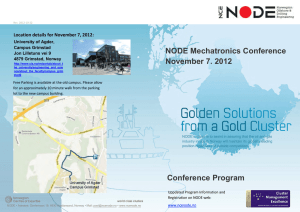 nological innovators in Norway, irrespective of industry. get the best possible equipment when sent into action. political consensus on this policy. 36 in 2009 and 30 in 2010, respectively. Stavanger, Stjørdal, Svalbard, Tromsø, Trondheim. development, project deliveries and service. on Svalbard for receiving satellite data. tactical radio and communications systems. a sales and service office in Bristol. Systems has a sales office in Hereford. focus mainly on sales, installation, engineering, commissioning and service/support. to have a presence in such a maritime hub. for KONGSBERG to offer good service there. systems, and is also represented there. service/support, as well as local production. customers in their own language. *) Approximate number of suppliers with sales of more than NOK 50 000 in 2011. Other continents: About 20 suppliers. cooperation with AUV activities in Norway. crew members, including simulator training. systems for infrastructure for vehicles. 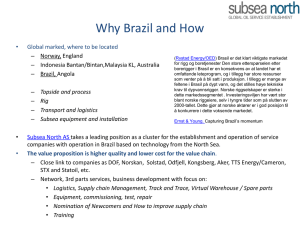 and project office in Brazil. ground station for satellite data on Antarctica. Operating revenues from other regions/continents amounted to MNOK 184. Kongsberg Oil & Gas Technology has established a company for sales and customer support in Perth, Australia. defence materiel. Local adaptation is the key to success. able to offer the best possible service to our customers. where it has major deliveries for vessel traffic monitoring. projects involving tactical radio and communications systems in the United Arab Emirates, Kuwait and Saudi Arabia. all the employees throughout KONGSBERG. new factory in Zhenjiang, China, 250 km north of Shanghai. Kongsberg Maritime China Zhenjiang (KMCZ). KONGSBERG has a total of roughly 300 employees there. business partners attended the official opening ceremony. opposed to corruption and child labour. agenda when we follow up subcontractors. kind of sanctions associated with corruption. KONGSBERG is opposed to all forms of corruption. devote considerable attention to that part of our anticorruption programme in particular. for preventing corruption in our business activities. Transparency International (TI) since 2007.
considerable attention to this work. and human rights because corruption undermines ethical and moral values. to social and economic development in the third world. • Corruption creates discrimination and impedes social justice. • Corruption undermines fair competition (skews competition). and it can damage their reputations”. parency in international business transactions. 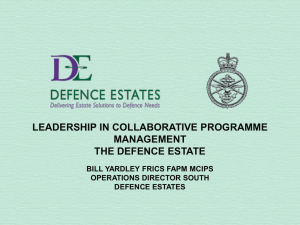 objectives as the rest of the organisation. and support from business and industry. internationally respected principles for business ethics. satisfy common requirements and carry out joint audits. processes are implemented more rationally and efficiently. We consider this a positive trend. brought in from Det Norske Veritas in China. requirements, as well as with operational needs. a line responsibility, in the individual units. reports are reviewed at Works Council meetings. international offices are included in the HSE reports. put their lives or health in jeopardy. in the countries in which we operate. practices and legislation for our foreign business activities. seminars and get expanded insurance coverage. special measures to protect employees and their families. KONGSBERG has established a ‘Global Travel Council’. per cent in Q3 2011. We see that a good working environment, interesting work and good development opportunities have a favourable impact on absence due to illness. time, per million man-hours (TRI) is estimated at 1.67.
es or work-related fatalities were recorded in 2011.
management teams are largely local. markets in which we do business. be lateral as well as vertical throughout the Group. knowledge from senior to more junior employees. for the best and the brightest. ible procedure for dealing with those who are not hired. Group, and offer different types of summer jobs. work in paid part-time positions in one of the enterprises. we offer a unique training programme for apprentices. students in the 2011 survey. for employees who will be exposed to human rights issues. This will be a focal point once again in 2012.
have been no reports of cases involving these topics. personnel to ensure the safety of our employees. how we handle our corporate social responsibility. learn more about their expectations of us and our activities. 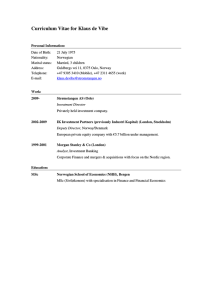 This work was further systematised in 2011.
can initiate the necessary remedial measures. all sections of KONGSBERG have with our stakeholders. can bring growth and development to local communities. safe, supportive and motivating atmosphere. predictability, transparency and equal treatment. Kongsberg in late January each year. in the slums in Mumbai, India. tion aspires to improve the lives of substance abusers. the project, and it is growing continuously. overall footprint on the outdoor environment has grown. challenges we face, and enabled us to make improvements. related to pollution in 2011. 50 per cent or more. well as all our production units and the largest offices abroad. are not included in the data. water, they do generate emissions of greenhouse gases. can expect to be hard hit by climate changes. leave the earth in a sustainable state. expenses will have an adverse impact on our results. fluctuations in the energy markets. emissions ( taxation, quota regimes or the like.). consumption and the use of renewables. accomplish this from 2012 to 2015. 2015 at a minimum of 10 per cent. district heating produced came from heat recovery. KONGSBERG from 2010 to 2011, i.e. from 103.9 GWh to 95.7 GWh. Kongsberg Technology Park to undertakings outside of KONGSBERG. 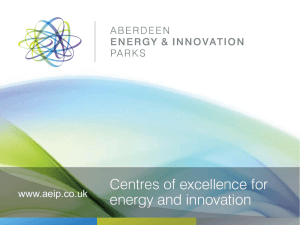 The figures include electricity, oil and gas used to produce district heating. Kongsberg Oil & Gas Techn. making compressed air and remote cooling, accounting for roughly 13.7 GWh. ahead, efforts will be made to include flights booked outside of Norway. international flights booked in Norway in 2010 and 2011.
per kWh district heat provided in 2011. Technology Park to enterprises outside KONGSBERG are shown as direct emissions. separation among the companies located there. FIGURE 3: Total waste production (metric tonnes) at KONGSBERG. FIGURE 4: The consumption of chemicals (metric tonnes) by KONGSBERG. the energy it takes to heat 2 384 single-family dwellings. production based on heat pumps and new buildings. turned out to be profitable in financial terms. pumps increased from almost 0 to some 17 GWh for 2011.
percentage of source separation for 2011 was 94 per cent. from KONGSBERG is helping to find the answer. 27 government agencies have joined the project. The project is a major milestone for KONGSBERG. vulnerable and attractive areas in the cold north. discovered as early as possible. adverse effects on the environment. to other operators as well. the guidelines, cf. the Auditor’s Report, page 45.
responsibility is to draw a conclusion based on our review. Reviews of Historical Financial Information”, issued by the International Auditing and Assurance Standards Board. subject matters on which we provide our conclusion below. with data accumulated as a result of these procedures and appropriately presented in the Report. procedures noted above and is consistent with source documentation presented to us. appropriately reflects performance related to the objectives for 2011.
information on each of the UN Global Compact principles is presented in the Report. 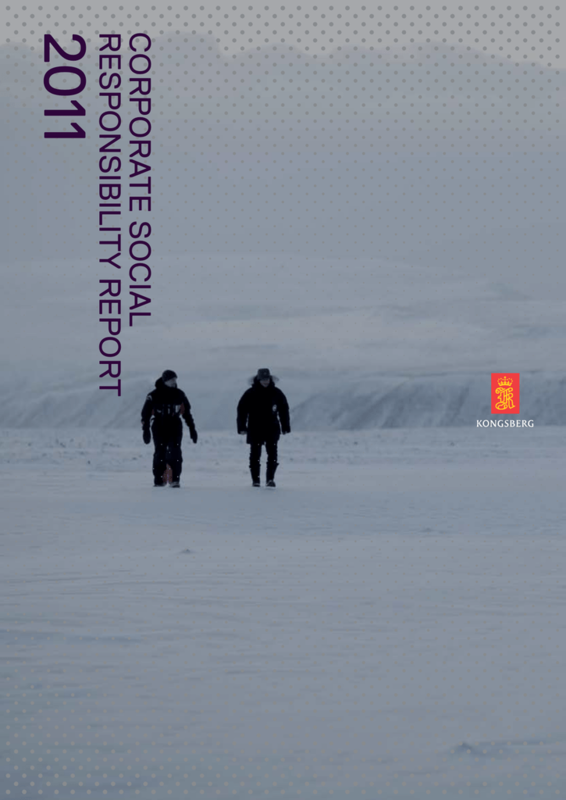 Norwegian and English versions of KONGSBERG’s Corporate Social Responsibility Report, the Norwegian version is the authoritative one.